This is not the time when John McCain can afford a bad polling day. And yet he's had perhaps his worst one of the year. 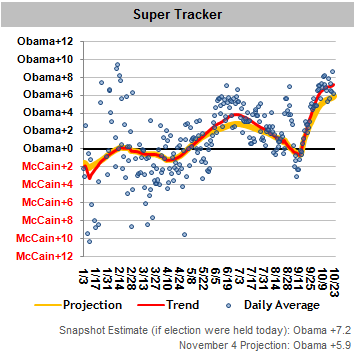 The national trackers were essentially a push -- three moved toward Obama, two toward McCain, two were flat -- but the action today is at the state level. 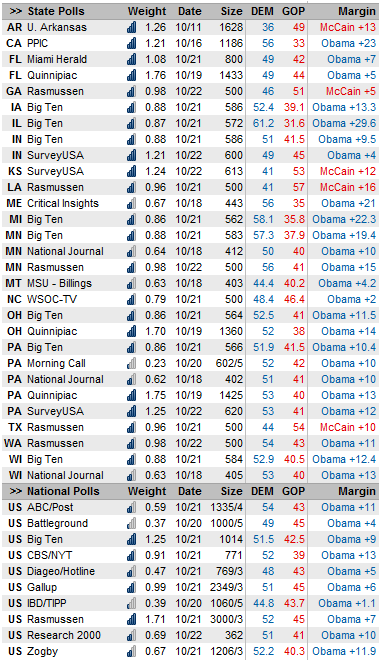 And boy, there is a lot of action: 29 new state polls enterring our database. And many of them contain great news for Obama.